Features a double layer of 1.75" life support rated webbing or 2" dive webbing, matte black AUSTRIALPIN COBRA buckle, and 1.5" hook Velcro sewn on the inside of the belt. Comes with an elastic keeper for the tail. 1.75" and 2" webbing will not fit through most belt loops! 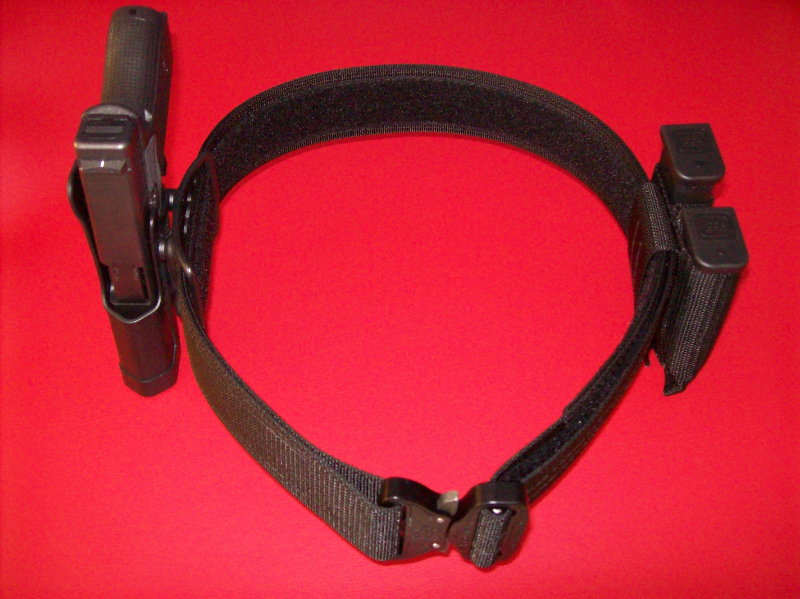 2" webbing won't work with a 1.75" buckle but 1.75" webbing works fine with the 2" buckle. If you want to use the 1.75" webbing for a Riggers belt order the D-ring COBRA buckle, we do not add a D-ring with the regular 2" COBRA buckle. SIZING: ORDER ONE SIZE LARGER THAN YOUR PANT SIZE IF YOU ARE WEARING THIS AS A DUTY BELT OVER AN EXISTING BELT.